Kaikoura is the ultimate stop on a South Island itinerary with world famous whale watching experiences available by air or sea, swimming with the dolphins, wildlife experiences including seabird and seal colony visits, bush walks and mountain trails, horse trekking, deep sea fishing and golf course. The White Morph in Kaikoura recently joined Heritage Boutique Collection. Set on the Esplanade in Kaikoura, The property enjoys commanding views of the ocean and mountains. It has a range of studios and self contained apartments, premium rooms offer stunning views and hydrotherapy spa en-suite bathrooms, two bedroom family accommodation is also available. All accommodation is inviting, modern and up to date and guests can choose from either ocean or garden view settings. 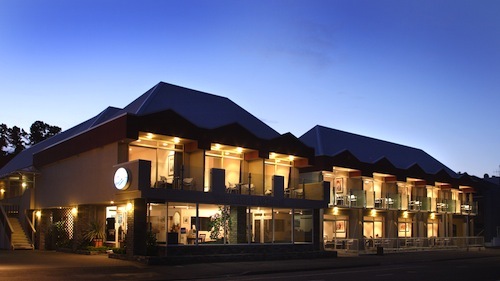 On-site is the iconic White Morph Restaurant, Kaikouras popular eatery, which provides Pacific Rim cuisine offering the finest seafood, complemented by a selection of exceptional local wines, it is renowned for its consistency and service. In addition to the restaurant there are conference facilities for up to 60 delegates available making the White Morph the perfect place for a conference or special event. 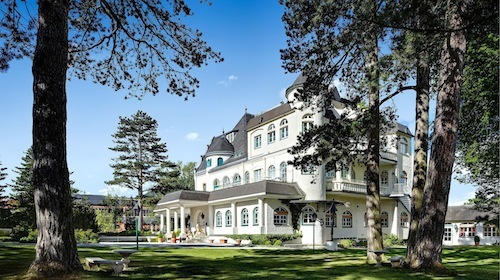 Heritage Boutique Collection’s aim is create a network of superb properties in easy driving distance from each other where guests can be assured of consistent high standards, the warmest welcome and a chance to eat, sleep and play, says Ronnie Ronalde, general manager of the Heritage Boutique Collection. Guests staying at The White Morph will experience the embodiment of the Heritage Boutique Collection which presents the ultimate in hospitality, where you are promised the warmest welcome, providing a truly relaxing and memorable experience appealing to all five senses. Superior facilities and professional standards promising every guest will feel like someone special staying somewhere special, adds Ronalde.